Center for African Development (CAD) conducts policy-relevant research on mobile technology and development; governance and state-building; and armed conflict in sub-Saharan Africa. Led by Dr. Philip Roessler, assistant professor of Government at William & Mary, CAD employs scientific analysis and field-based research to advance key academic and policy debates. CAD provides students with the opportunity to deepen their understanding of African politics, societies and development through direct interactions with African communities and leaders. W&M students are engaged as research collaborators both in Williamsburg and in Liberia, Tanzania, and the Democratic Republic of the Congo. 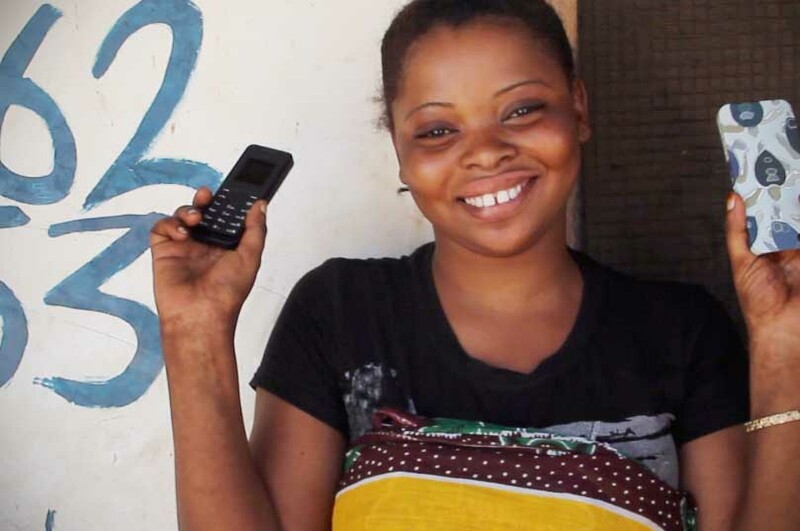 This project addresses the impact of the mobile phone revolution on women in low-income countries, gathering data and analyzing the benefits and limits of mobile phone ownership as a strategy to promote development. Presently the project partners with Kidogo Kidogo to examine the impact of mobile phone ownership on women’s empowerment in Tanzania. Kidogo Kidogo (Swahili for "little by little") operates a "buy two give one” mobile phone initiative, in which it sells iPhone cases designed by a Tanzanian-based artist and for each pair of cases sold donates a mobile phone, SIM card, and mobile phone credit to a woman in Tanzania through in-country NGO partners. The Institute provided seed funding for Professor Roessler and his students to design a field experiment that measures the impact of KidogoKidogo’s "mobile phone drops" on women’s lives. The experiment measures impact on beneficiaries across four dimensions: social connectedness, income generation, personal safety and access to healthcare. This research represents one of the first field experiments on mobile phone ownership that will not only advance the basic science on the mobile phone revolution in developing countries but offer a more rigorous understanding of the benefits and limitations of mobile technology for development. Led by Robert Blair of Yale University and Philip Roessler of William & Mary, China and the African State endeavors to better understand how Chinese aid and investment flows are affecting African politics. The project will conduct a series of field surveys, lab-in-the-field experiments, and observational studies in Liberia, Tanzania and Democratic Republic of Congo to better understand the subnational impact of Chinese investment and development projects on state capacity and legitimacy. In April 2014, Professors Blair and Roessler received the project’s initial funding from USAID’s Democracy Fellows and Grants Program through the Institute of International Education to initiate the project. Drawing on extensive field research across the region, CAD Director, Philip Roessler, has written two pathbreaking books on the scourge of civil war. Why Comrades Go to War: Liberation Politics and the Outbreak of Africa’s Deadliest Conflict (featured right) with Harry Verhoeven draws on hundreds of interviews in Central Africa to account for the cause of Africa’s Great War that erupted in the Democratic Republic of Congo in 1998. Through the geospatial analysis of colonial-era country atlases overlaid with contemporary development indicators on access to electricity, infant mortality and household wealth, CAD researchers are shedding new light on the historical origins and long-run consequences of regional inequality in Africa—one of the key sources of state failure in the region.